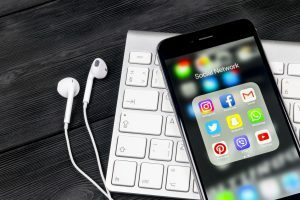 Many businesses, including automotive dealers, aren’t using social media, and others that are using social media marketing aren’t doing so effectively. Social media for car dealers is a key part of marketing your dealership in this digital age. Here are some strategies for social media for car dealers that your dealership can use to reach more customers. The power of social media is in its name: “social.” These are real people on these platforms, and if you want to successfully engage them, you should get personal. That means reaching users through ads that speak to them on a more personal level. You want to be customer-centered, which means providing quality ads and posts that entertain, educate, and inform. Think of social media as a hang-out spot. No one wants an aggressive sales person sitting next to them at a party, pushing a sale. But that same person, telling a funny story about a test drive or sharing industry expertise on a new engine suddenly becomes a friend. Use your social media accounts to become a part of communities. Then when it comes time to buy, you’ll be top of mind. There are many social media platforms out there, so choose wisely where to spend your money and time. Instagram, for example, creates the perfect atmosphere for you to share sleek pictures of your inventory. LinkedIn is a B2B network for professionals to connect—but rarely do they use it as a way to gain information about a car. Facebook, on the other hand, is a great way to reach your B2C audience. In other words: When it comes to getting your dealership on social media, limit your activities to platforms that make sense. Instagram and Facebook are two great choices for both relationship building and advertising. When it comes to using your accounts, posting once a month is as good as not posting at all. On the flipside, posting too much will overload people’s feeds and cause them to mute or unfollow you. Instead, you want to strike the right balance that works for your industry—and that means having a plan. Whether that’s a social media campaign that ties into a larger marketing strategy, or just a weekly strategy to keep your posts and ads in people’s feeds, plan it out in advance. For an individual, social media is very immediate; a business, however, needs to consider ROI and plan for it. When worked into a comprehensive marketing strategy, paid ads can be quite helpful to boosting prime social media campaign posts to get people aware of what you’re doing. From there, though, it’s up to you to keep quality content flowing. There are dozens, if not hundreds, of strategies you can employ to have a successful social media marketing strategy. These are just a start to get your dealership using social media for car dealers. Partner with a consulting firm to gain even more ideas.